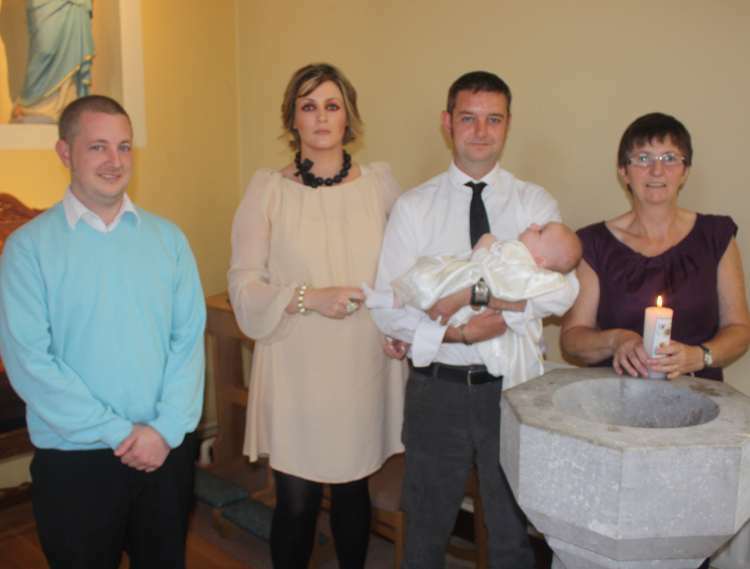 Tristan Andrew O'Sullivan was baptised in Toames on Sat 21st August. Seen here, L to R, are: his godfather, Donal O'Sullivan; his parents Shirley Buckley and Adnrew O'Sullivan; his godmother Mary Buckley. Andrew is from Kildorrery and Shirley is from Ballincollig and they have been living in Annahala for over a year.